Working closely with our clients, we first aim to gain a detailed overview of their brand and goals. This informs our understanding of our client’s specific retail design needs and point of sale systems. Basics like colour and size are obvious questions but what we really want to know is where we can add value to what we produce so that it can sustain a longer lifetime, increased flexibility and greater appeal to the target market. Following the brief, we undertake research specific to the project’s needs. Usually this involves spending time in-store, with the product and with competitors’ products, so that design parameters that meet both the client’s wishes and budget can be set. Concepts are initially kept very simple until we are sure that the client’s requirements can be met. We will consider material and finish options and note these within our presentations. Unlike some design agencies, all of our retail design concepts are proofed, ensuring that they can be produced to optimum quality, before you see them. After receiving concept approval, we will refine all details of your concept so we know how to approach it and what materials we will use. This information is used to source quotes for the prototype and production before moving forward with the project. We will present fully detailed quotes for any updates made to the concepts. Quotes include both a cost for a Prototype and Production Run, and also any shipping or air freight that is required. Once approved, Prototyping will begin. 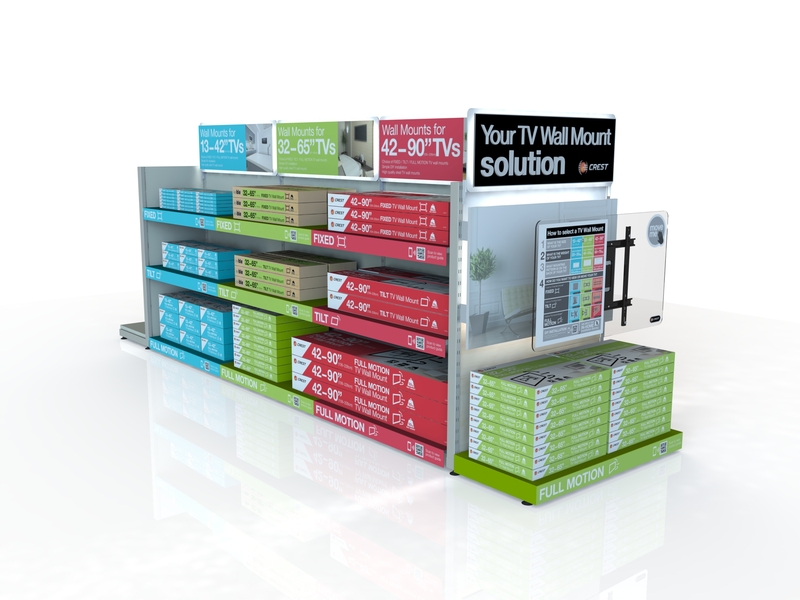 CONTACT US TODAY FOR RETAIL DESIGN SOLUTIONS!